Former Cameron County sheriff and current Bureau of Federal Prisons inmate 51689-179 will get out of jail in a little more than two years after a federal judge in Laredo reduced his sentence. Conrado Cantu, who protected drug traffickers while serving as sheriff from January 2001 until December 2004, was scheduled to be released on July 22, 2026, but will instead get out of prison on Sept. 28, 2020. 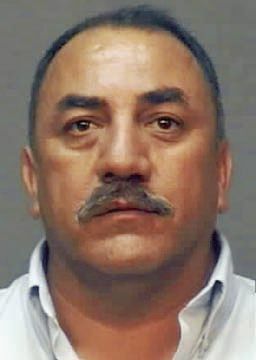 U.S. District Judge Hilda Tagle originally sentenced Cantu to a little more than 24 years in prison in December 2005 for racketeering. In a plea deal at the time, Cantu admitted to working with a former captain and a former county jailer to solicit and extort bribes from drug traffickers, including a $10,000 bribe just one month after he took office. The former sheriff also admitted to protecting illegal video gamblers and confessed to covering up a March 2004 shootout between a Cantu political supporter and deputies, newspaper archives indicate. However, Cantu is not being released early because of a successful appeal challenging his conviction. Instead, Cantu is being released early because in 2014 the U.S. Sentencing Commission changed how sentencing guidelines are calculated for drug offenses. When a federal convict is sentenced, authorities use a system of points to determine the length of the sentence within the guidelines of a criminal offense. In 2014, the U.S. Sentencing Commission amended its Drug Quantity Table, which impacted the number of points used to sentence Cantu to a little more than 24 years in prison. The U.S. Sentencing Commission’s changes were sent to Congress, which didn’t take up the matter, making the amendments to the sentencing guidelines law, and the U.S. Sentencing Commission also allowed the amendments to apply retroactively. At the end of 2014, Cantu filed a motion to reduce his sentence and asked that it be changed to 17.5 years. The U.S. government did not oppose the motion.